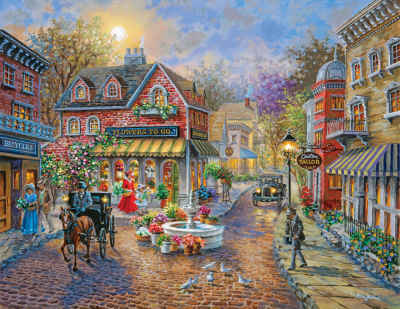 Looking back to the clip-clop of horse-drawn carriages and the golden glow of gas-lit lanterns, Cobblestone Village tells the story of a summer's day in a different time. Flowers bloom in this idyllic village as ladies in long skirts run errands with baskets in hand, and gentlemen stroll with bowlers and umbrellas. 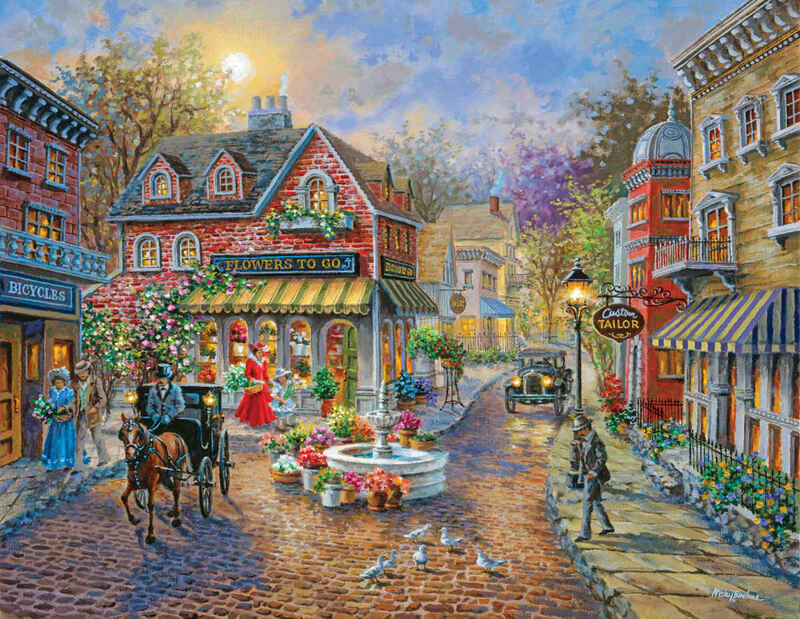 This is village life from a by-gone era, painted in rich color and with minute details, a jigsaw puzzle that may be just as challenging as it is beautiful. This was an enjoyable and interesting puzzle. Quality only Springbok can bring. I just finished this puzzle & it was a bit more challenging but absolutely enjoyed it. It is a beautiful puzzle. I really enjoyed putting this one together! The colors of the flowers are so pretty, and it comes together without too much difficulty. I put it together in two sittings! I just love your 500-piece puzzles!